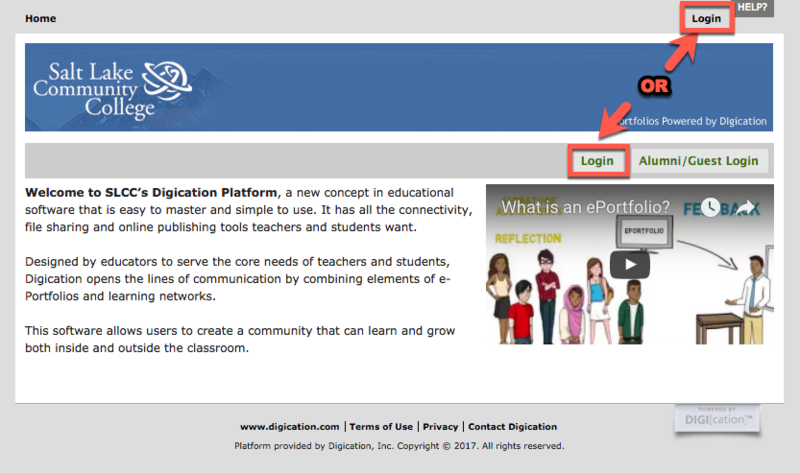 There are many ways to get into your Digication account! 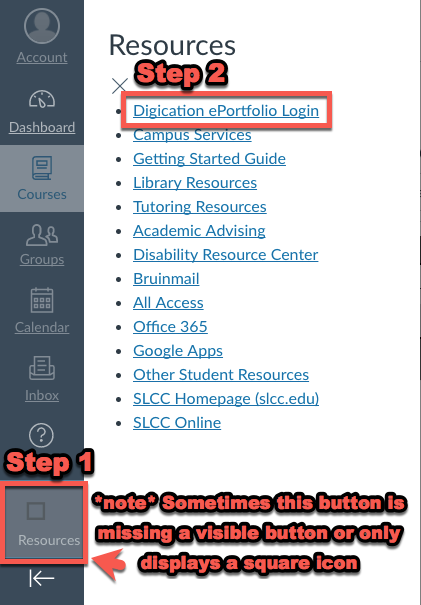 Please make sure to sign in with just your username and password (the same account information you use for MySLCC or Canvas). 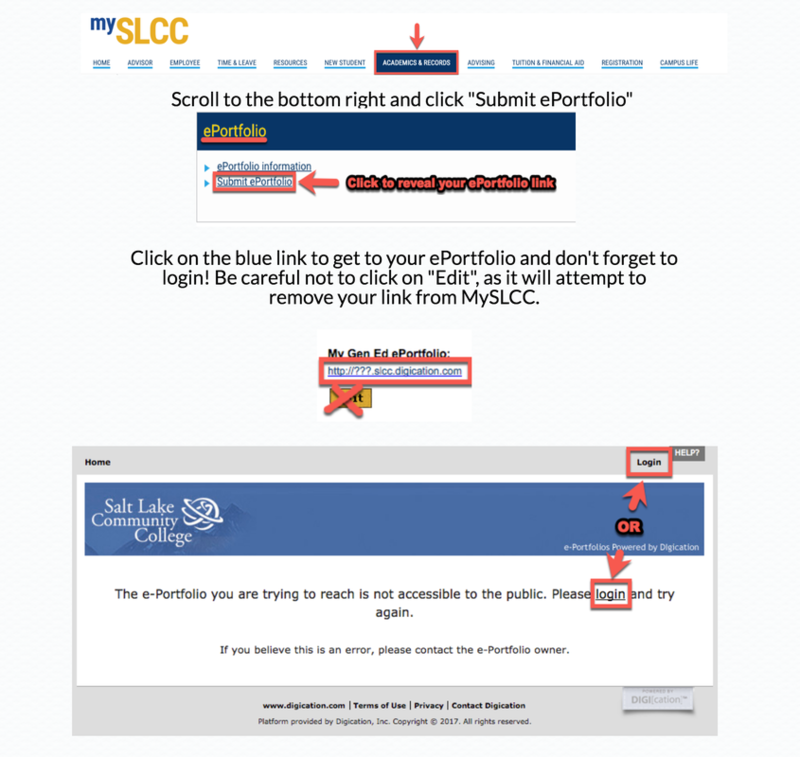 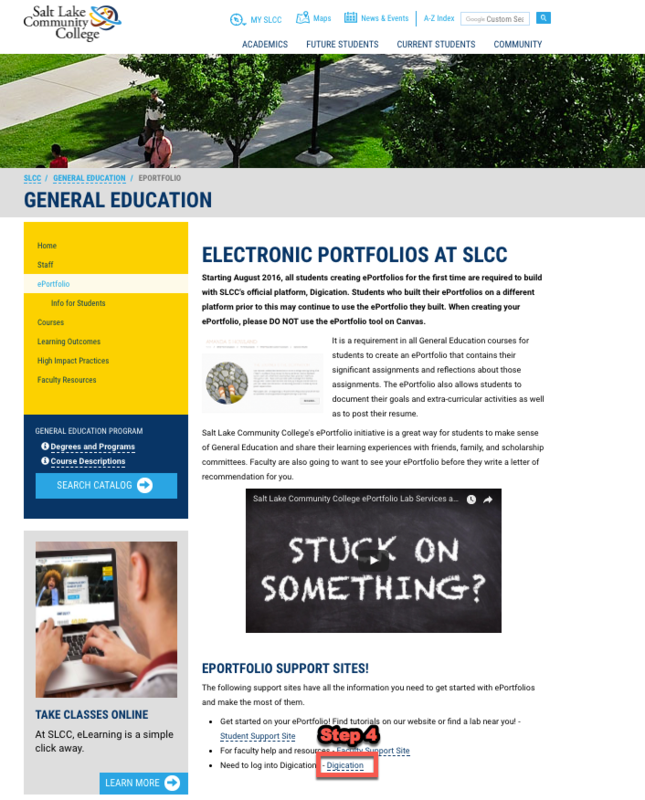 ​Go straight to slcc.digication.com and click on the login button to sign in.